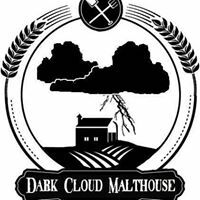 Dark Cloud Malthouse was founded by local Maryland engineer, Danny Buswell and local Maryland brewer, Jesse Kaiss. Most locally brewed beer and distilled spirits are crafted using grain grown and malted thousands of miles away. Danny and Jesse decided to create a way to introduce local grains to the craft beverage market. The malthouse is located on the same farm where our barley is produced. We also work with local growers who are suppyling our raw grains with in an effort to provide local farmers with another avenue to market local crops. We always seek to provide our local beverage craftsmen with the opportunity to offset a portion of their grain with unique local ingredients.